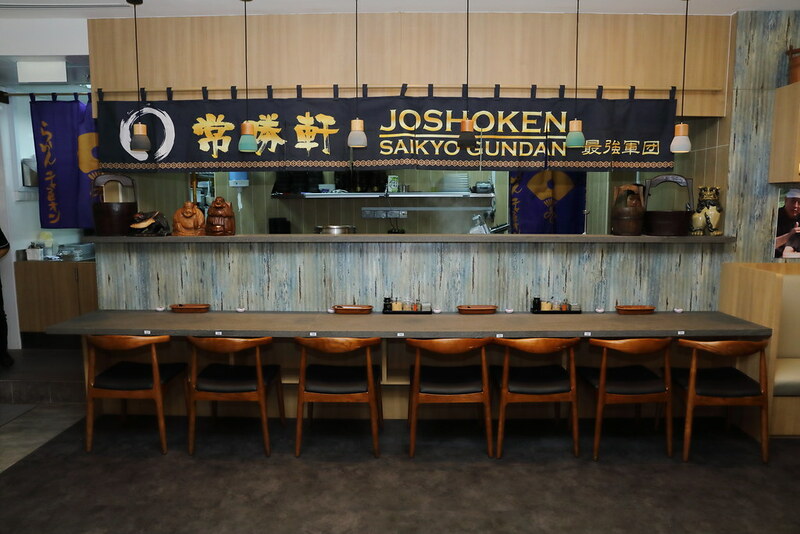 Ramen Champion has just opened its latest outlet at Clarke Quay Central. Like its other outlets, over here you will get to pick your favourite ramen among the popular Japanese ramen brands curated under one roof. 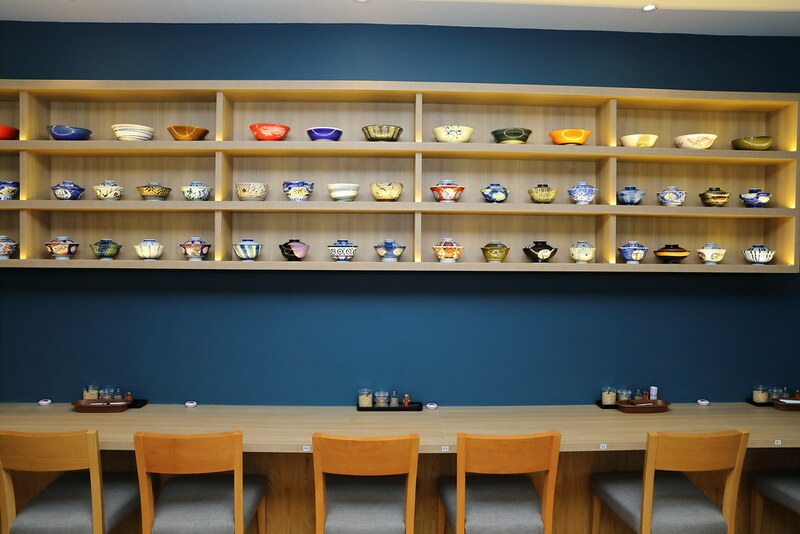 On top of that, you will be enjoying a full-service, alongside with a more extensive menu which includes a wide variety of Japanese food choices such as rice bowls, sashimi, sushi, maki tools, grills, etc. And my favourite, is the addition of a free flow salad bar that cost only $4 when you order any main course. I really appreciate the Salad Bar. I love Yasai Ramen and at times I do order additional vegetable topping for my ramen which can be rather expensive for a tiny portion. 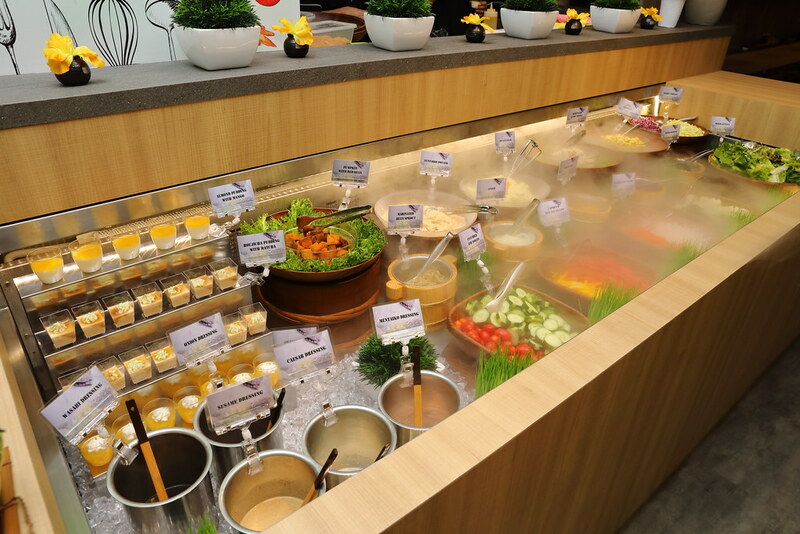 The salad bar offered over 20 dishes and even come with desserts! 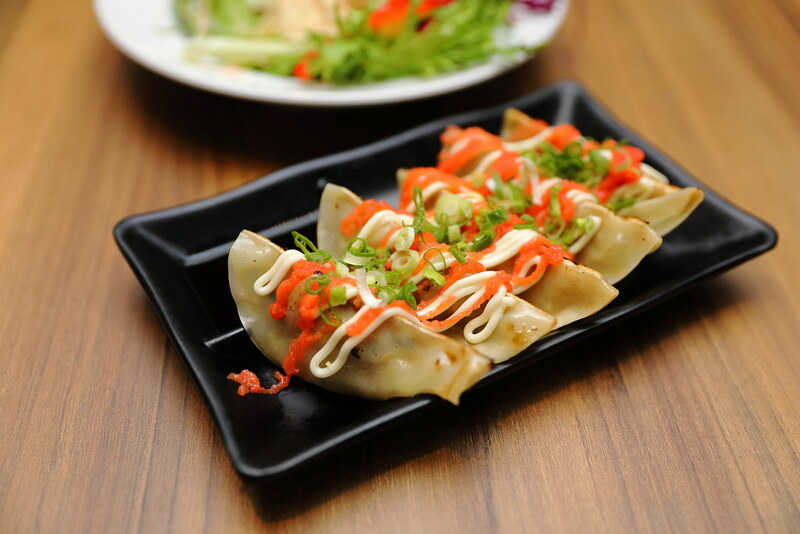 Gyoza is always a popular add-on to ramen and over here we had Mentai Gyoza ($6.80). The pork filling is moist, wrapped within a thin, crisp skin. The mentaiko sauce is pretty solid with roe, unlike those that has been mixed with mayonnaise. 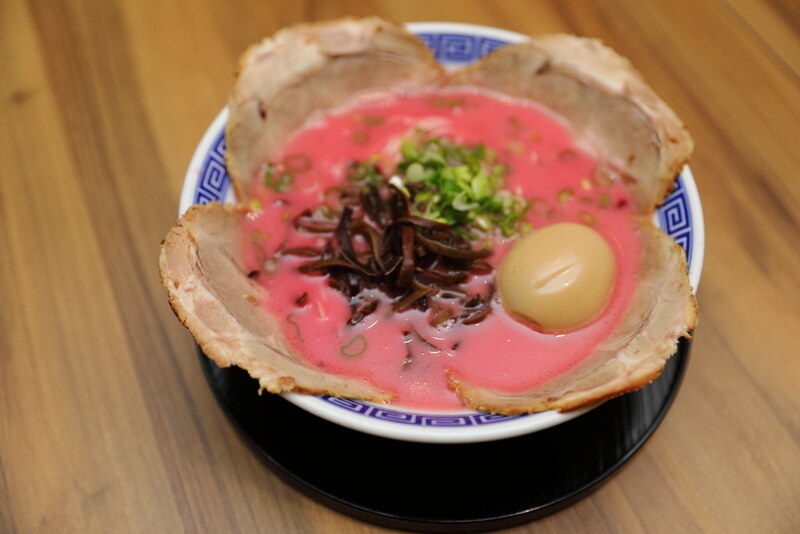 There are two new ramen so on the menu - Special Tonkotsu Pink Ramen ($15.80) and Magma Ramen ($14.80). What gives the pink ramen its pink broth is the infusion of fresh beetroot and blueberries into the rich tonkotsu broth. I thought it may be too sweet for my liking but it turned out that the infusion neutralises the saltiness, resulting in a broth with a even more balanced flavour. There are still people on the table who prefer the usual White Tonkotsu but this works for me really well, not to forget the extra nourishment from the beetroot and blueberries! 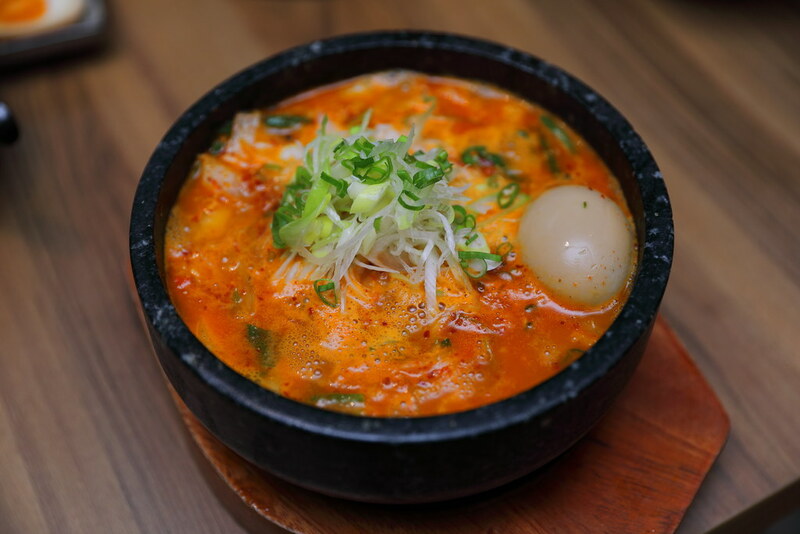 The latter is a spicy ramen served in a hot stone bowl. We tried spicy level 5 which wasn't too much for me. Daring eaters may try up to level 20. Concocted using 6 different kind of spices- capsicum peppers, Japanese black pepper, chilli padi, chilli oil, Korean as well as Japanese chilli flakes, there's a tinge of sweetness to it which I like. There's also a heap of mixed vegetables to balance this spicy chicken broth. I like the idea of using minced meat in this ramen, they seem to soak up the broth really well. We also tried 2 of the rice varietals- Salmon Tower Maki ($21.80) and Fisherman Don ($21.80). 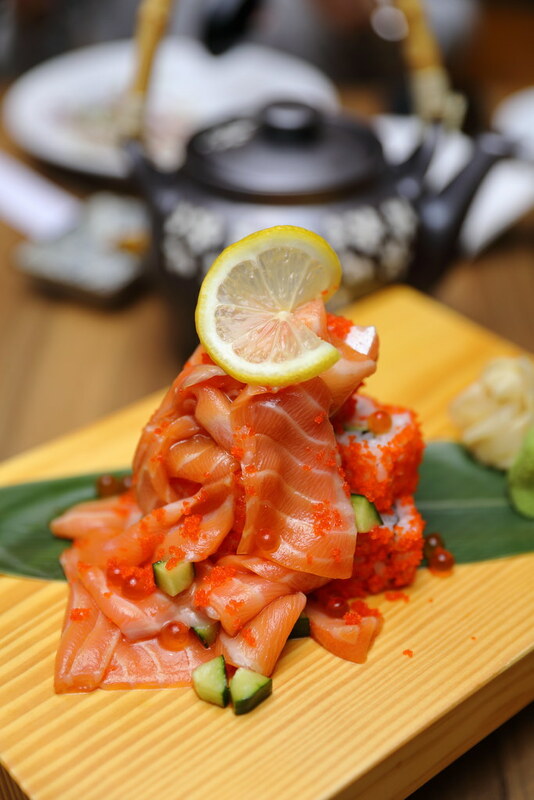 The presentation of the Salmon Tower Maki is visually enticing, though the taste may fall a little flat. The slice salmon sashimi is fresh but I find the California roll slightly too sticky. The latter is akin to your chirashi Don with fresh sashimi cubes atop of Japanese rice. 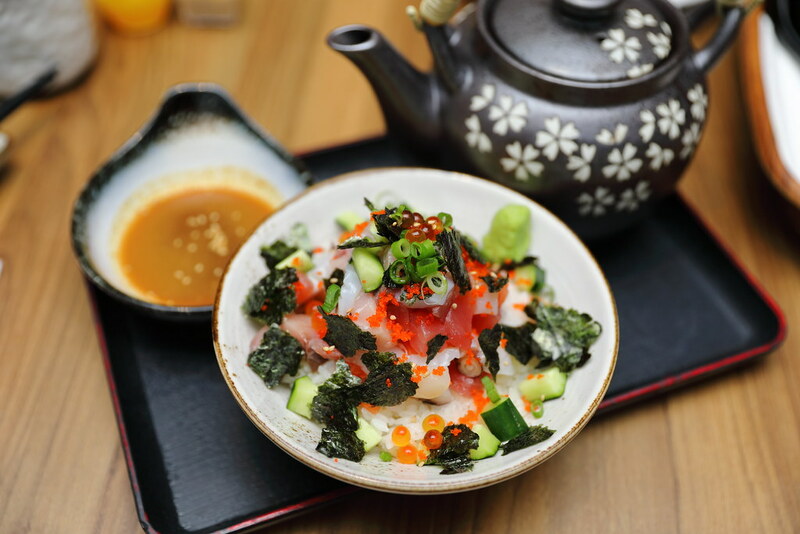 What's different is that you will enjoy this in a Ishikawa-ken style, by adding the blended sauce of miso, sasame, wasabi and soy sauce to the bowl. Upon half way into the bowl, in goes the hot dashi soup made of bonito and kombu. The soup is quite light which is kind of palate cleansing after the savoury first half. However, I find the sashimi cubes too tiny for me to savour the fatty sweetness of sashimi. For me, the ramens remains as the stars of Ramen Champion, perhaps together with its gyozas. Some may appreciate the spaciousness of this 110-seater restaurant and the convenience and comfort of ordering through one system but I very much prefer its original style in which each clan get to showcases its identity with its individual little stall and signage. It is a joy to walk around and check out individual stalls to see what they have got to offer. Such browsing and choosing show-how heightens the taste of the bowl of ramen that I had picked. That is almost like a smaller setting of what I had experienced in Hakata where an entire floor of a shopping mall is dedicated to ramen restaurants. Still, it is a place to go for a good bowl of ramens! 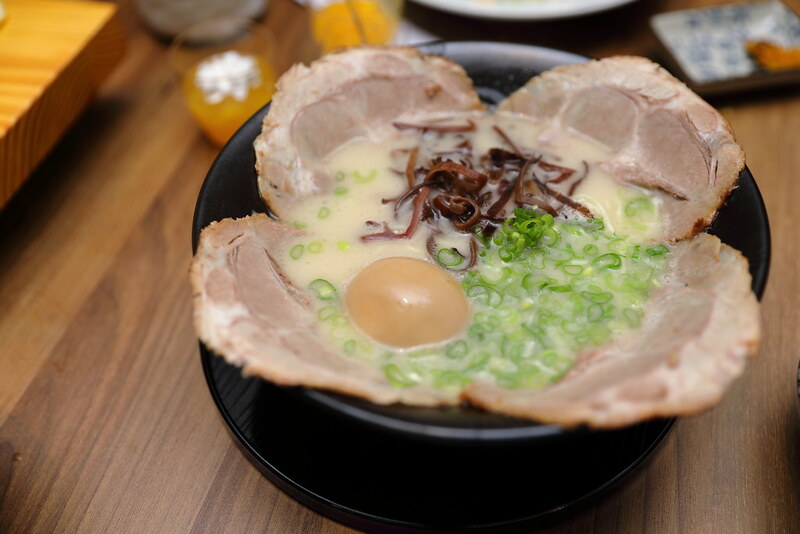 Grand opening promotion: 1-for-1 Ramen from Tonkotsu Ikkyu when you order its signature White Orignial Tonkotsu Ramen, Red, Green, Black or Pink from $14.80.